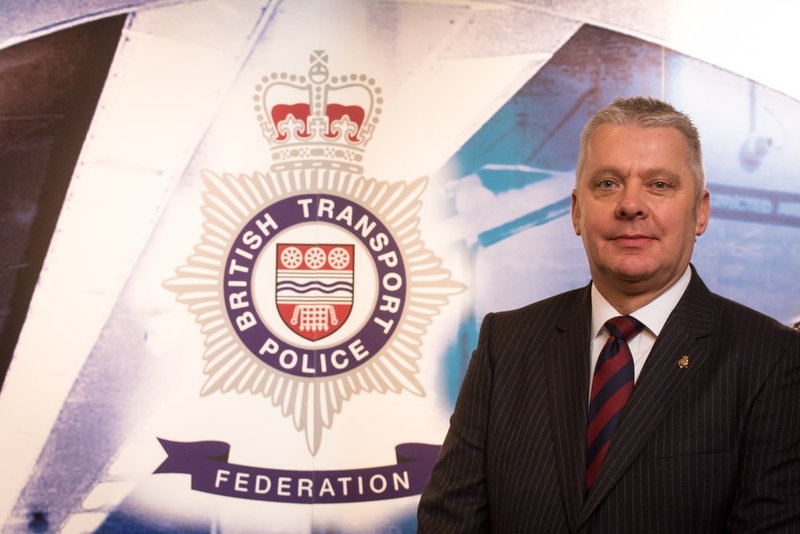 Colleagues, here is your monthly blog for October, with updates on what the BTP Federation National Executive is involved with on your behalf. Firstly, it is with a heavy heart that I report the death of two officers: PC Justine Barringer and PC Steve Thackeray. Both were serving officers with the BTP and both died unexpectedly. Our thoughts and prayers are with their families, friends and colleagues and we send out deepest sympathy to all. As most officers in Scotland are aware, after the Joint Program Board meeting in Scotland on 26 September the Chief Executive of BTP Authority, Charlotte Vitty, circulated a letter to all BTP Scotland officers. We welcomed an update from the Authority although it created more questions than answers. We were informed that the Joint Program Board agreed that dual status should be the 'planning assumption' for the purposes of drafting the transfer orders. This essentially means that officers and staff should transfer on their existing terms and conditions with dual status for officers, post- integration. Furthermore, we met with civil servants from the Scottish Government last week. In this meeting we were informed that the draft of the pension proposal is nearing completion. The preferred option of the Joint Program Board is that BTP Scotland officers continue with their current pension, albeit within a protected group. Clearly any proposal will have to be shared with the Trustees of the pension scheme; for clarity, the Trustees have not received any proposals to date. We will also have an input regarding any final proposals. We have been invited to submit questions/comments regarding the pension discussions from our members in Scotland. PI Dougie Brownlee is collating these and we will add to them where necessary, before forwarding on to the Scottish Government civil servants. BTPA will meet with the Federation to go through the T&Cs and contracts of employment, so they are accurately reflected. A list of BTP officers' travel concessions has been produced and the Federation will check this too. There remains a lack of detail around key matters such as T&Cs, pensions and the legal mechanism for transfer. There was - once again - a lengthy discussion regarding better communications and sharing of information and I personally made a plea to all parties to start sharing information rather than leaving a void for others to fill. This is creating problems for many and is very difficult to manage. The BTPA and Scottish Government civil servants have committed to improving communications and finding out when agendas and minutes of the JPB meetings will be published. I have also written to the Department for Transport to ask when the HMICS and HMIC reports will be published. As most people will be aware the HMICS report of BTP Scotland has been previously leaked to the press but the Federation and our members have still not had sight of the final report. Call me suspicious but why wasn't the report published prior to the Bill being debated in the Scottish Parliament? And why is it still not in the public domain whilst discussions are occurring with regards to officers transferring? "What has amazed me in the debate is the sheer hypocrisy of the Conservative Party. It lists what it sees as concerns about the integration of British Transport Police into Police Scotland but will not acknowledge that it plans to abolish BTP by creating an infrastructure police force in the UK, which would bring together the Civil Nuclear Constabulary, the Ministry of Defence Police and BTP. That was not just in the UK Conservatives' manifesto; it was in the Scottish Conservatives' manifesto, too." The last correspondence we received from the Home Office, on 14 February 2017, confirmed that due to more pressing departmental legislative priorities there will not be any proposed legislation to merge the British Transport Police, Civil Nuclear Constabulary and the Ministry of Defence Police. Each Force was asked to consider all non-legislative options to improve interoperability. Therefore, I have respectfully invited Mr Matheson to let us know the source of his information, because we need to be fully informed and prepared. There have been suggestions that this Federation is not supporting our Scottish colleagues with legal assistance. I want to be clear that this isn't the case. The BTP Federation has, for more than 14 years, instructed a very experienced and highly respected employment Barrister on all matters relating to employment law. He knows our terms and conditions better than most and has a long and successful track record of representing our members. He has been instructed to advise on the integration since 2014. We are now well into the consultation phase of the newly proposed rosters. Divisional Commanders or representatives of such should now be finalising the consultation process with local Federation Representatives and colleagues. I believe there are a few teething issues with certain rosters and I am aware a small minority of officers are still suggesting that the Force cannot change rosters within 12 months of implementing a new roster so they cannot be moved until April 18. This is technically correct, but the Federation advice remains the same, which is that if the current rosters are as bad as reported by many the new proposals should be accepted. I'm being asked by the DRD team to warn officers to be aware that any changes to the rosters will potentially create more rest day cancellations, but I'm also told that, due to recruitment, rest day cancellations are reducing on the current roster. We're now in a chicken and egg situation: do we move to a new roster under the fear that more rest days will be cancelled, or do we remain with the current roster? I have personally raised concerns around remaining with the current roster due to fatigue and the DCC has reassured me that he wants to ensure that we get this right. I have asked the question of the point at which the force realises that the answer to the problem is not simply about rosters. It's about the ever-increasing demand; something which is being experienced by most forces. The practice of cancelling rest days cannot be sustained if we wish to retain staff, and we cannot continue to blame the rosters so surely the time has come to review the ever-increasing demand? We have a further meeting with the DCC on 27 October when hopefully a decision will be taken on whether there will be any changes or not. If there is a change, we will encourage the Force to make that change on the first week of January 2018 allowing new rosters to fall in line with the annual leave year. We will update you all accordingly. This meeting took place yesterday and one of the topics covered was Overnight Allowance. There is a list of operations and events that the force is reviewing regarding backdated payments, and the DCC has asked the Federation to also review this list. Going forward any planned operations which incur away-from-home overnight stays should be written within the operational order, giving authority for those officers who are staying out overnight. There are still matters outstanding but going forward op orders should show where officers are entitled to the Overnight Allowance and ORIGIN will automatically capture those officers' details, meaning officers won't have to make a claim. Also on the agenda was the new proposed Machinery of Negotiation. There needs to be some fine tweaking of the policy which the Federation will complete prior to the submission to the Chief Constable. Likewise with the Working Time Agreement, there are some fine tweaks needed for it to then be delivered to the Chief Constable to sign off. Regarding pay, the force and the authority seem in agreement to mirror the Home Office pay award, but this still needs final agreement with the remuneration body. The aim is to have that backdated in the December salary. Still under negotiation is the third full time Federation Rep (Treasurer) and the DCC has invited us to supply further evidence regarding cost and capacity. The Federation has been heavily involved in the Protect the Protectors campaign. For those on social media you will see the General Secretary and I have been assisting PFEW with this campaign supported by ACC Smith. He joined us in Parliament last week to promote the new Bill and encourage politicians to support new legislation that will give better protection to all emergency workers and hopefully act as a deterrent against assaulting frontline workers. We have also received some great nominations for our Awards of Excellence and we look forward to selecting those final few who will be invited to attend the awards evening in March 2018 to receive a deserving award of excellence. On that note I would like to congratulate Wayne Marques, Cath Daley and Emily Lewis who have received well-deserved awards at various high-profile events recently. We're all very proud of you. Our quarterly Federation Management Board took place earlier this month, where we were informed that sadly Kevin Gardiner has retired from Federation work. Kevin has been a long-standing loyal servant to the Federation and many of his peers. On behalf of the Executive I would like to thank Kevin for everything he has done for many and I wish him well in his retirement. I would also like congratulate Mark Marshallsay who has now been appointed as Assistant General Secretary in addition to his role as the Treasurer. We welcome Mark to his Executive role. The Management Board has agreed to sponsor and support the LINK Conference in Glasgow Scotland this year and approved a donation to the National Police Memorial. Thank you to all who attended and participated in what was a very busy agenda. It only leaves me to say a very big thank you again to you all for your continued hard work, self-motivation and professionalism, keeping everyone safe whilst on the railway. "Problems can become opportunities when the right people come together".